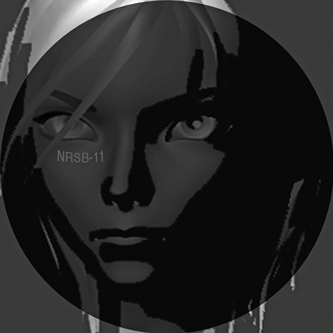 NRSB-11 is a new one-off Heinrich Mueller collaboraton with DJ Stingray. It probably stands for the Nuclear Radiation Studies Board and one of its tracks was up on SoundCloud for a while with the title of ‘Energy Levels’. It is on WeMe Records, on 12" clear vinyl and only available from their website. You can listen here.